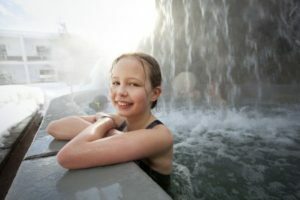 Hot water pools (+28 ºC) are an excellent way of relaxing after a busy day. Also try a waterfall massage in the outdoor hot waterfall or bubbly jacuzzi (+35 ºC). 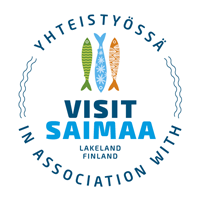 After a spell in a Finnish sauna or Turkish steam bath, you can take a dip into the blue Lake Saimaa – be it summer or winter! We have also thought of the little ones for whom there is special children’s pool. Sauna and pool department is open daily 2 pm – 8 pm. 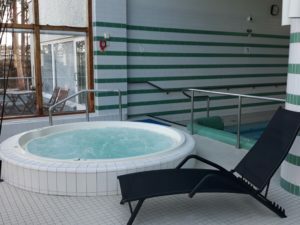 Hotel guests can also use the sauna and pool department in the mornings from 7.30 am to 11 am and it’s included in the room rate. Pool bar is at your service. 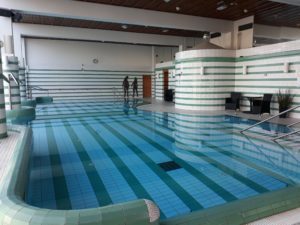 In the vicinity of sauna and pool department is also a sports hall which can be used for volleyball, floorball or group exercise use.